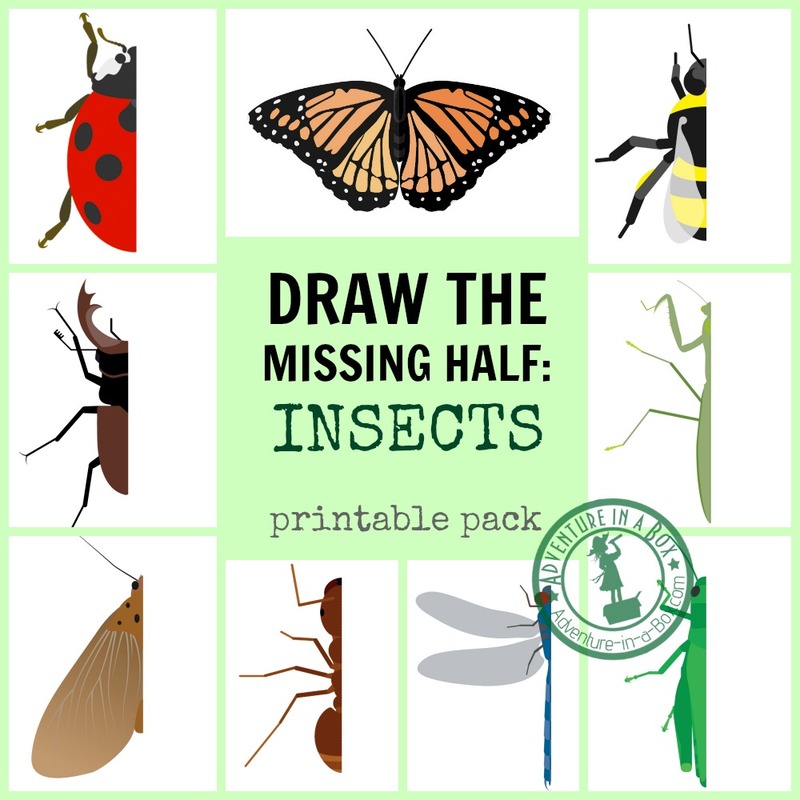 Draw the missing half of an insect to make the picture complete! 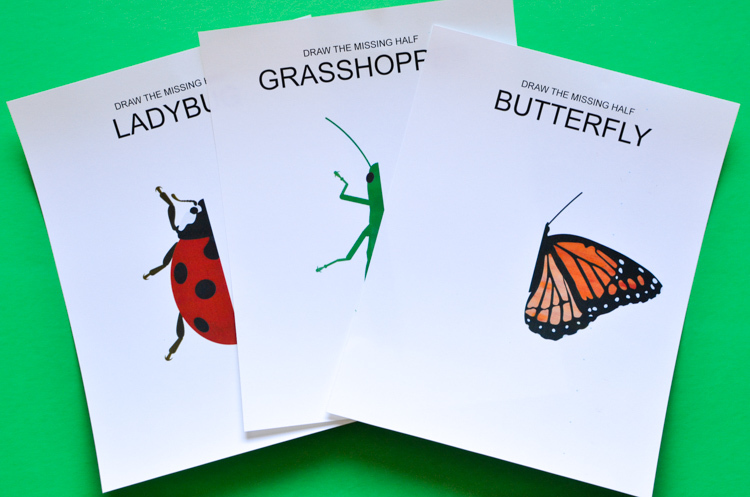 These drawing prompts are good for children learning the concept of symmetry and, of course, for all young insect enthusiasts. Summer is a great time for studying insects with kids, and our son has spent quite a bit of time crawling on all fours in front of ant hills, shooing cabbage whites away from our kale, and protecting ladybug’s eggs on our plants. “They’re good! 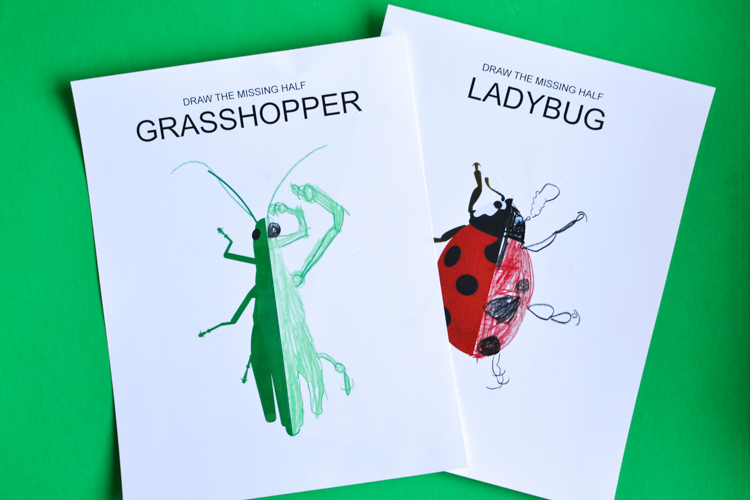 They eat bad insects.” A book about insects has become part of his falling asleep routine. Works like a charm! After listening to it for a few minutes, he drifts off. In my son’s drawing book, there was a page with a train missing its half. After he had finished it, he requested a similar picture of… an ant head. But of course, there was nothing this specific in there. So I made the ant head for him along with other insect drawing prompts. 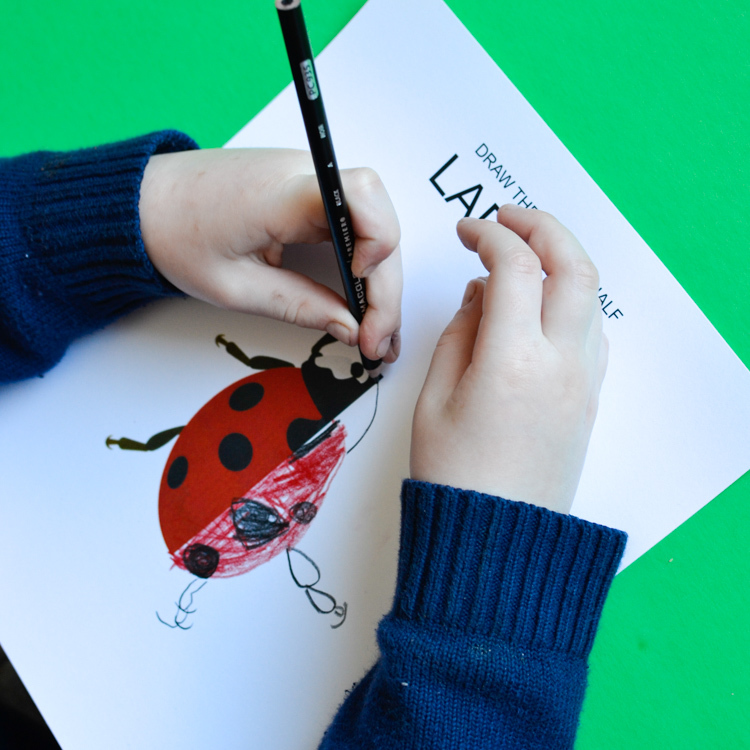 Fine motor writing & drawing skills. Most importantly, my son really enjoys them, for they serve as both a prompt and a challenge for his drawing endeavours. 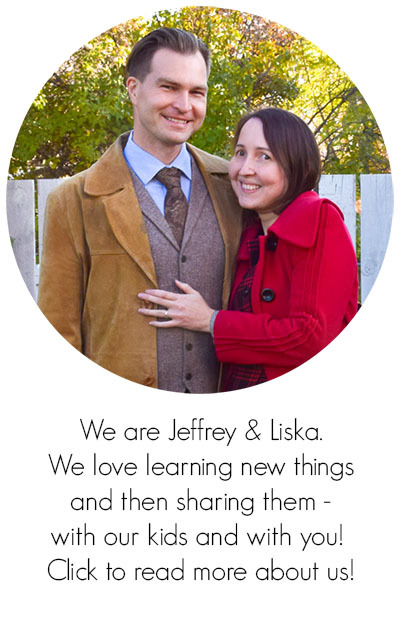 And since he likes it most when we do something together, I was quickly served a picture to finish as well. So I can testify to how challenging it was! I hardly want to admit the monarch butterfly below to be my own, but it was fun. Actually, I wouldn’t mind doing it again. These ladybug and grasshopper were finished by my son. Before having these prompts, he usually gave insects anywhere from seven to eleven legs, but now he’s counting them, so they all have the proper six! It sure warms the heart of daddy the entomologist. 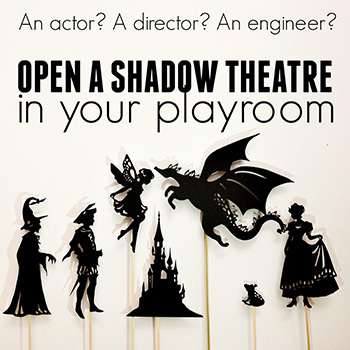 Get the Insect Art Prompts! You can buy the full pack here or try a free sample here. 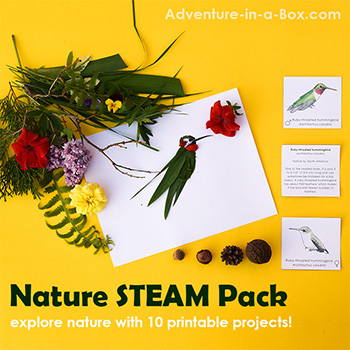 The full Insect pack consists of ten insects – a ladybug, a bee, a damselfly, a monarch butterfly, a grasshopper, a moth, an ant, a praying mantis, a stink bug, and a stag beetle. Draw the missing half to complete the picture! 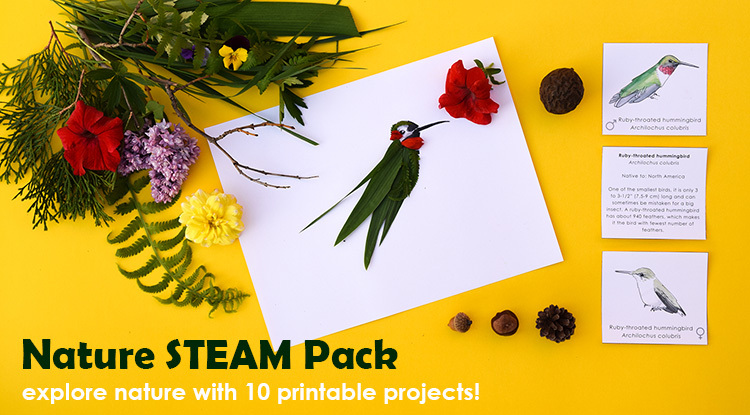 You can also buy these art prompts as a part of our Nature STEAM Pack (60% discount!) 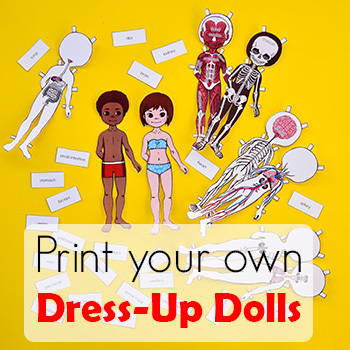 along with other creative printable projects for exploring nature. 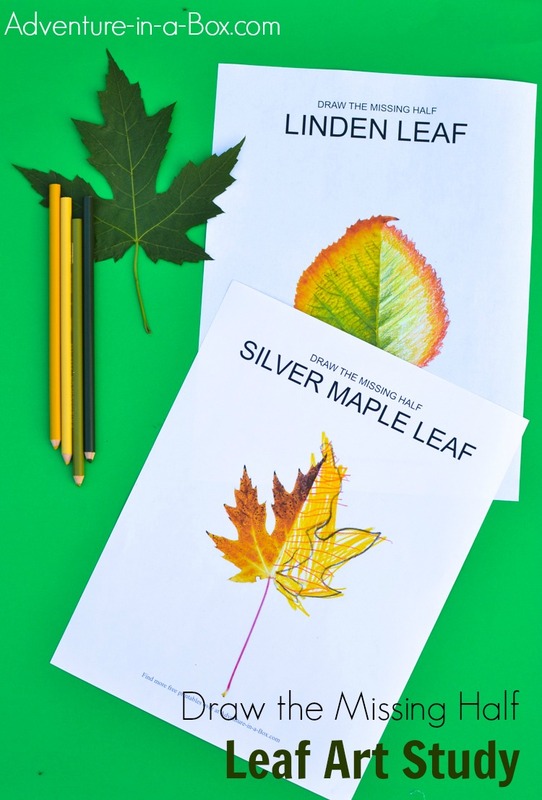 Draw the missing half of a leaf!